Later this month, the Woolery will be heading to the Fiber Frenzy Retreat in Lexington, KY (February 21-23) ! We're excited for this fiber-tastic event - it's a great way to start the new year! If you're new to the fiber festival scene, you may want to check out our blog post from last year which has some great tips for getting the most out of your fiber festival-going experience. Nancy Reid Nancy has been knitting since the age of 5; since then, she has added spinning and weaving to her repertoire. For the last 12 years, she has taught spinning and weaving classes at festivals and retreats as well as privately. Nancy's expertise is a valued asset on Team Woolery: she even has Blue State Fair ribbons for weaving, spinning, and knitting! 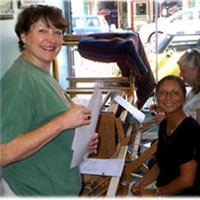 Nancy will be teaching a free workshop demonstrating how to safely and effectively use a wool picker to process fiber. Taevia Magee Taevia first started playing with yarn when she was six. ; since then, she has learned how to knit, spin yarn, weave, tat, and hook rugs. As a part of Team Woolery, Taevia combines her love of fiber and teaching to help others learn about rug hooking so that they will come to love wool and other fibers as much as she does! 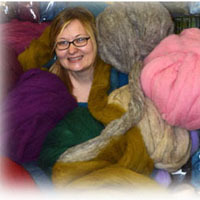 Taevia will be teaching an intermediate class on spinning cotton with a Tahkli Spindle. Anna Latek Anna is fortunate enough to have been taught sewing, knitting, crochet, and embroidery by her mother and grandmother. It's no wonder that a career in the textile and fiber arts was a given, and Anna studied costuming and textile history in college to enrich her fibery pursuits. 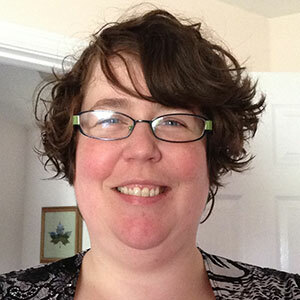 In recent years, she has explored felting and loves to share the magic of the fiber arts with the world at large. Anna will be teaching a beginner class on Kumihimo braiding, an ancient Japanese weaving technique used to create lengths of beautifully-detailed cording for the Samurai, geisha, and every class in between. If you're lucky enough to be in attendance, be sure to say hello to Nancy, Taevia and Anna if you see them, or stop by our booth to say hello! The Woolery strives to be a part of the fiber arts community and it is part of our mission to strongly support guilds and its members, who work so hard to keep the crafts alive for future generations. 1) Participating Guilds will receive a yearly cash reward based on purchases made by its members. 2) Participating Guilds can receive a Grant from the Woolery through our Woolery Humanitarian & Community Outreach Grant.